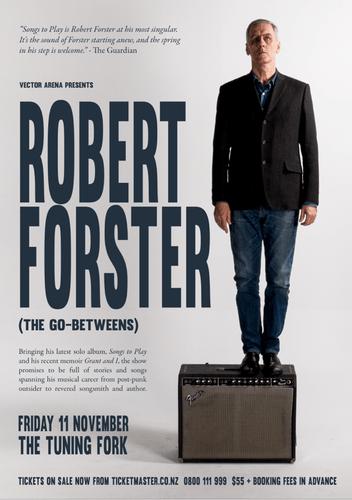 Robert Forster, co-founder of legendary Brisbane band The Go-Betweens, is coming to New Zealand’s north island for two shows this November. 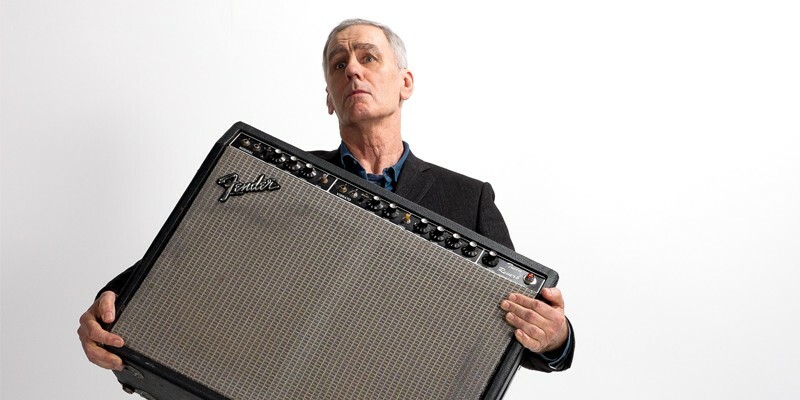 Bringing with him his latest solo album, Songs to Play and his recent memoir Grant and I, the show promises to be full of stories and songs spanning his musical career from post-punk outsider to revered songsmith and author. Seven years since Robert Forster’s last album, The Evangelist (2008). Seven years for fans and critics alike to ask, what was he doing? As it turns out, quite a lot. Forster spent time as a record producer, music critic, and writer – as well as preparing for what was to be the next chapter of his musical life. He initially envisioned the gap between albums to be five years. However, after gathering musicians and preparing for what was to be the next chapter of his musical life, a refreshed, and creative direction began to take shape resulting in his latest album, Songs to Play; unique to anything else he has ever done before. Ten very different songs recorded on a mountain top thirty minutes from his Brisbane home, in an analogue studio, with a troop of young musicians; talented multi-instrumentalists Scott Bromley and Luke McDonald (from The John Steel Singers), Matt Piele (drummer from his touring band), and violinist and singer Karin Baumler. The seven-year gap between albums has brought a bolder, wilder approach to the sound on Songs to Play. The record is highly melodic, with incisive, witty lyrics attuned to real people and real lives. The surprise is the spirit of the record, its sense of adventure and fun and a step away from the most reflective songs of The Evangelist (2008; recorded a year after the death of Grant McLennan). Both shows promise intimate surroundings to see one of the finest songwriters of a generation up close, expect a very special evening.